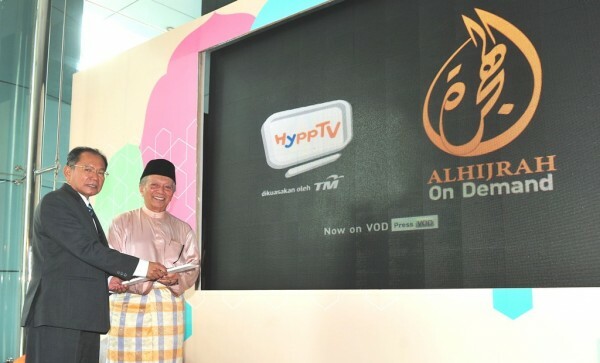 Telekom Malaysia’s IPTV service HyppTV has officially launched its first Islamic video-on-demand channel in the form of AlHijrah On Demand. The channel promises to provide high quality Islamic programming in HD for the first time on the platform. HyppTV already has AlHijrah programming on the free-to-air channel 114, and this new offering will complement the content with an even wider variety of shows. In conjunction with the month of Ramadan, AlHijrah On Demand is offering special programmes such as “Hidangan Barakah”, a unique cooking show hosted by Chef Ammar El-Ali who demonstrates various recipes from Middle East and Mediterranean in easy, and Islamic way. Also available is “Madrasah AlHijrah Ramadan”, an informal Islamic educational programme that provides enlightenment on topics relevant with the month of Ramadan. AlHijrah On Demand can be found on Channel 834 for a subscription fee of RM10 a month. Click here for more information about HyppTV’s channels.